If the recent trend in hospital consolidation is providing CIOs an education in change management, then Jonathan Goldberg is on his way to a master’s degree. Two years ago, three organizations — including St. Peter’s Health Care Services, where Goldberg served as CIO — merged to form a $1.2 billion IDN. 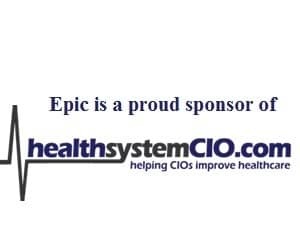 But, as he quickly learned, “change doesn’t move fast,” particularly when the organizations that are joining together run different EHR platforms. In this interview, he talks about the need to focus on “the people aspect of integration,” why it pays to give physician practices some autonomy, and his organization’s data exchange efforts. Goldberg also talks about improving patient flow, his real motivation for seeking CHCIO certification, and why CIOs need to keep an open mind. When you connect all the dots, it created a pretty nice, comprehensive health system which we thought would really be a good launching point for what’s to come with healthcare. It would be equivalent to a 2-year-old child in terms of its infancy and where we are in relation to the merger. We’ve got a long road ahead of us. I think we’re just touching the tip of the iceberg. It wasn’t something where overnight, bang — you had this big weight on your shoulders. It came in somewhat of a gradual state, but needless to say, it was and it has been quite an interesting ride. We’re trying to move to that next level of acting like St. Peter’s Health Partners, which is a challenge for everybody. You know what you know. Change doesn’t move that fast, and we certainly don’t have the dollars to throw at making significant change in a very rapid pace. They were probably scratching their head wondering why we were doing this, but getting people interested in understanding what each of the organizations could bring to the table was something we wanted to make sure we did early on. Gamble: Hi Jonathan, thank you so much for taking the time to join us today. Goldberg: Not a problem. Who doesn’t want to do this on an early Monday morning? Gamble: Well, we appreciate it. Especially since you start the week and you want to dive into everything. So to start things off, why don’t you give our listeners a little bit of information about St. Peter’s Health Partners? Goldberg: St. Peter’s Health Partners was formed officially two years ago as part of a merger between three health systems: St. Peter’s Health Care Services — which is where I was, Northeast Health, and Seton Health. It was a three-way merger between those health systems and it really came together as part of a planning process as we looked at what healthcare was going to evolve to and how we could better prepare for it. Each of the three organizations brought strengths to the merger and to the new health system that really helped created a very comprehensive health system. But also, there were compelling reasons to come together. St. Peter’s Health Care Services had strength in the acute care market with the largest hospital within the health system. Northeast Health had a very large continuing care division as well as some community hospitals. The Eddy, which was their continuing care division, had a large market in nursing homes, assisted living, independent living, homecare, and medical equipment. And so that really created a nice conduit between St. Peter’s Health Care Service and Northeast Health. Seton Health had St. Mary’s Hospital, which is another small community hospital, and it also had a large primary care network of physicians — the largest of the three organizations. So when you connected all the dots, it created a pretty nice, comprehensive health system which we thought would really be a good launching point for what’s to come with healthcare. Gamble: By doing that two years ago, it seems like you were a little bit ahead of the game, because I know that with some of the CIOs we talk to, they’re looking into that now. So I would think you’d be glad about being in the position you are now. Goldberg: We’ll joke about it. It was two years ago on October 1, so we just hit the two-year anniversary next week, but the actual merger itself we started working on six years ago. Because of the size and scope of our services within this region, it did push up against some of the federal government with the Federal Trade Commission looking at us from the standpoint of anti-trust and doing that vetting. You can imagine the red tape involved in that; it took quite a while to get through. We joked back then that we were creating our own healthcare reform in this region, and so far, even though we’re two years old, I guess it would be equivalent to a 2-year-old child in terms of its infancy and where we are in relation to the merger. We’ve got a long road ahead of us. I think we’re just touching the tip of the iceberg. Gamble: Hopefully, you’re not in the tantrum stage. Goldberg: It depends what day you’re talking about. I think there is a little bit of that going on, but certainly not unexpected. Gamble: In terms of the size of the organization now, how many hospitals do you have? Goldberg: We have five hospitals: four are acute care, and one that’s a specialty rehabilitation hospital of about 115 beds. We have a total of about 1000 beds within the health system. Gamble: You were with St. Peter’s Health Care Services when the merger happened. What was your role at that point? Goldberg: I was the Chief Information Officer at St. Peter’s Health Care Services. I was at St. Peter’s since 2003. I actually just celebrated my 10-year anniversary here. Gamble: I can imagine your role has changed quite a bit. I wanted to talk a little bit about that, going from CIO at St. Peter’s Health Care Services to now this larger organization, and how it has changed. Goldberg: I have more people. I have more headaches. It was an interesting evolution, and certainly the challenges have grown. St. Peter’s Health Care Services was moving through its strategic plans and we had a lot going on, which is no different than any other hospital and any colleague that I have throughout the nation, with relation to implementing new clinical systems. We had a large building program going on with regard to our main hospital campus, and so we were growing and changing and evolving, but certainly not to the magnitude of this merger. When the merger occurred, the positive was that you had the opportunity to ease into it. It wasn’t something where overnight, bang — you had this big weight on your shoulders. It came in somewhat of a gradual state, but needless to say, it was and it has been quite an interesting ride bringing the different cultures and the different organizations together, and certainly trying to find ways of leveraging the health system with regard to how we operate as a system versus still operating as each organization was comfortable in their own clothes, so to speak. We’re trying to shed that. We’re trying to move to that next level of acting like St. Peter’s Health Partners, which is a challenge certainly for everybody. You know what you know. Change doesn’t move that fast, and we certainly don’t have the dollars to throw at making significant change in a very rapid pace. And so we’re taking things very slow. We’re trying to prioritize. And as I mentioned before, the reason we came together was to try to stay ahead of some of the changes. But some things are even coming more rapidly than we anticipated, and we’re trying to react to that and trying to understand the market and how are we going to react to the changes. Gamble: It’s interesting because we’re talking about three organizations that merged, which isn’t as typical. As far as how this all came together, I imagine Northeast Health and Seton Health had their leadership in place as well. How did that whole process go as far as determining the leadership team for the combined organization? Goldberg: From what I gather, rumor has it that the CEOs of Northeast Health and St. Peter’s met in a dark corner of a restaurant one night to discuss opportunities, knowing that we needed to adapt and we needed to change, and that the market in this region was probably not going to be able to tolerate and be able to support so many different health systems. The writing was on the wall. There were compelling reasons for both to get together. And so I think it was maybe a couple of the board members as well the CEOs who had this idea and started some informal dialogue that got more serious as they started to dive into some of the detail. And hence, that was the springboard for this. As I mentioned, Northeast Health and St. Peter’s were the two health systems that started the process. Seton Health originally was not in the mix — not to say we weren’t keeping an eye on them, but no one anticipated being able to do a three-way merger. As you mentioned, it’s kind of unique. But St. Peter’s is a Catholic health system, and Seton was a Catholic health system. Seton and Northeast Health were staunch competitors of each other, and so as we started looking at this model of Catholic healthcare and non-Catholic healthcare, plus organizations that are competitors of each other, it was trying to figure out how to make that puzzle fit. We did have some pressure from the bishop in this area to make sure that we sustained Catholic healthcare, and for good reason. And hence, they insisted that if this merger went forward, we would need to have Seton involved right from day one, and not leave them out on the sidelines. There were politics, needless to say, as we went forward trying to navigate those waters, and that’s some of the reason why, as I mentioned, it took four years prior to the merger to make this all come together. Gamble: I can only imagine all the red tape that was involved. From the standpoint of change management, two years into the merger, are you getting to the point where you feel that you’ve maybe gotten over the hump and that the people who came from the different organizations have been able to adjust? Or do you still have some challenges there? Goldberg: There are, no doubt, a lot of challenges still. You can’t say that any other way. And within the organization, there is still some of this going on. I’d say though in the IT realm, though, when you look at my world, we took a little bit of different approach. I guess because we’re a support organization with a lot of similarities, we were able to bring the IT staff together. We made a cognizant effort to spend a lot of time doing that early on — bringing them together and getting them engaged in the process. And really, part of my world for many months was spent just working on the people aspect of integration and trying to relook at everybody; look at what they do, look at how we can change things, and try to find some creative ways of getting people introduced to each other and out of their comfort zone. We rotated some of the techs and the desktop folks through all the hospitals and had them working together early on. They were probably scratching their head wondering why we were doing this, but getting people interested in understanding what each of the organizations could bring to the table was something we wanted to make sure we did early on. For the most part, I think it worked really well. Certainly, we want to create an organization that virtually is the same across the health system. And I’m sure we’ll talk a little bit about the differences in terms of systems, but we spent a lot of time early on with the technical infrastructure in terms of trying to integrate and standardize that and build that foundation to grow from. The last two years have really been spent on the technical aspects of integration, but if we can give people new opportunities to take on new challenges, that usually invigorates them. Usually people step up to the challenge. Obviously, our success and my success is all going to be about the people that are here working for us, and so we wanted to make sure we sustained that. And certainly there’s more than enough work to go around. The level of anxiety that comes from these types of mergers is something where you don’t know what it’s going to be like until you actually experience it. Certainly people are very concerned about putting food on the table, paying their mortgage, sending their kids to college — all those things they’re doing day to day. When you throw something like this in front of them that’s so complicated and so disruptive to their world, that’s really the only thing they can think about. As much as you talk to them and you explain to them what’s going on, at the end of the day, until they know exactly where they’re going to be and what this means to them, sometimes the words are meaningless. But at the same time, you don’t want to give up. You want to continue to be as transparent as possible. That was certainly one of the challenges that came from this that we needed to work through, and certainly we did — very successfully.